Welcome to another edition of DT's cure for the Monday morning blues -- What Am I? 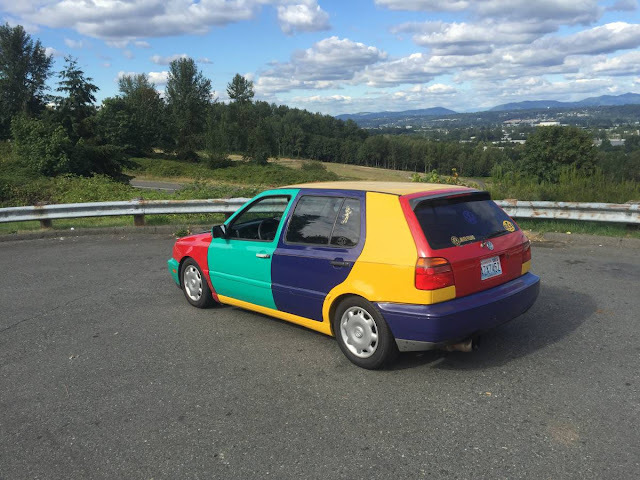 We find a random picture of a car and you get to guess what it is. Last week's Fiat 128 3p tail light was quickly solved by Kevin Harper, but this week we are going under the hood for a peak. Update with solution below. What am I? Comments below. 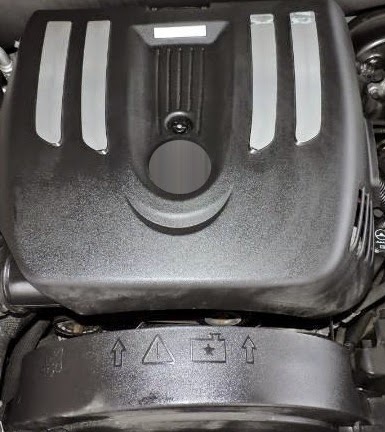 Congrats to Scott Mackintosh who correctly identified this as the plastic entombed LS2 GM V8 from this 2008 Saab 9-7X Trollblazer found here on eBay . By far the nicest of that family of vehicles, though in no way a REAL Saab. That's a Maserati Bi-turbo engine cover.....it's in mint, untouched condition because they never have to be removed because that powertrain is so bulletproof. They should be going for $50k+ now. 10/10. That's not a Matchbox, that is Corgi. It is #332 Lancia Fulvia Sport Zagato. I know cuz I have teh same one! for you fanboys, details: that's my lancia, one of several i bought off ebay UK, had shipped to a friend there, and brought back in my suitcase - they can't be gotten for a reasonable price here, and the scruffy-but-not-tragic ones aren't "worth" the pricey shipping - i will, one day, drive, if not own, a medium blue lancia fulvia sport, or my name is not... whatever my name is - trivia: can you read the map? I gotta admit, I thought you were talking about a real-sized, actual car there for just a moment. My mind was boggled which is certainly an easy thing to do. I cannot read the map as I am blind as well as mute, possibly a bit deaf, peg legged and my nickname is Lucky. ~ Carl Perkins version, for sure. If only I had one on a tiny piece of wood, my life would be complete. Is it a conspiracy that I smell? We done been duped! Why should our IPs be banned? DT's never been so lively! How come nobody ever listens to me? Conversation is a GOOD THING, PEOPLE! Otherwise, it's just tumbleweeds and dust storms; Deadsville, USA. Even an argument is better than nothing. Did you get my email with a "What Am I" suggestion?